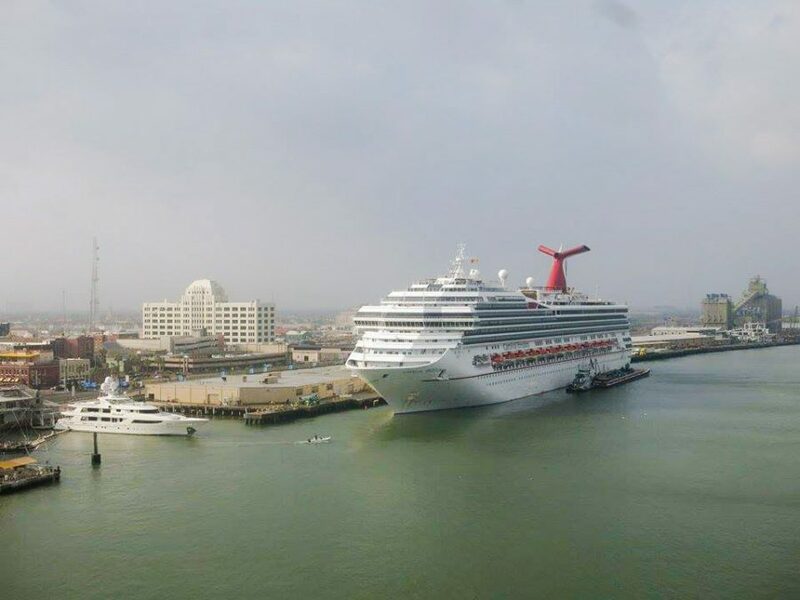 Carnival Cruise Line has warned guests of bad weather conditions at Port of Galveston on Friday through Saturday morning. The warning was issued by the port due to two cruise ships scheduled to dock on Friday and Saturday. Carnival Cruise Line has passed on a weather warning issued from the Port of Galveston to guests. The cruise line is keeping guests informed who are booked for the Carnival Freedom December 8 departure from the Texas port. The bad weather conditions in the area may also impact those passengers traveling from the port after their cruise which is coming to an end on the same day. There could be a delay for disembarking and embarking so cruisers will have to check for the very latest updates from the cruise line by signing up to text alerts using CCL1 to 278473 (CRUISE). The Carnival Operations Fleet Center in Miami are constantly monitoring developments and how the Carnival Freedom cruise could be impacted. As you are preparing for your cruise, we want to make you aware of a weather alert. In conjunction with local port officials, our Fleet Operations Center in Miami has been actively monitoring the weather forecast for the Galveston area. Heavy rain, which may cause street flooding, is expected Friday night into Saturday morning. We are currently planning to operate our cruise as scheduled. We will continue to keep an eye on local conditions and provide you with an update if anything changes. In the meantime, please opt-in for text alerts by texting CCL1 to 278473 (CRUISE). There is a cold front moving through the region including Galveston where heavy rainfall is expected to begin Friday afternoon until Saturday morning, December 8. Up to 8 to 10 inches of rainfall is expected in some locations and there could be flash flooding. Guests are advised to be very careful when traveling to and from the Port. At the moment there is no delay for the Carnival Freedom but depending on conditions this could change. Disney Wonder is operated by Disney Cruise Line is in Galveston on Friday with an afternoon departure. Carnival Freedom is scheduled to depart the popular cruise port at around 4:00 PM on Saturday. The ship will sail a 7-night western Caribbean cruise including calls in Cozumel, Grand Cayman, and Jamaica before arriving back at her homeport on December 15. The Conquest-class vessel is 110,000 gross tons with a guest capacity of over 2,900 at double occupancy. Carnival Valor and Carnival Vista also offer cruises from Galveston.